One of the most popular trends in food preparation is creative ways to spin Nutritionally Dense, plant-based foods. And so I frequently head to my kitchen with that being the desired goal….Something full of flavor, new and unique, easy to prepare, but using healthful plants. Today was the day. My family frequently requests Italian foods, pastas, and pizza. And sometimes we absolutely indulge! Italian food is one of the most popular dining choices. And, with that, an idea was born. I’ve used bulgur wheat in Mexican Food!!!..A-HA! What’s good for the taco must also be great for the penne! Hold on to your spatulas! I’m eliminating at least one health concern in the culinary yumminess of all things Italian…its Sausage! To the pork lovers of the world, I’m not saying this going to be an exact replica of the real deal. That’s really never the intent of respinning a recipe to its healthier sister. Instead, we are aiming for similar feelings you get when eating a particular food…warming spices that are bursting with flavor, a crumbled texture – like sausage – and the like. Since the typical Italian Sausage carries significant amounts of sodium, sugar, cholesterol, and saturated fat from a source that likely was not pasture grazed without pesticides and free of hormones, it makes sense to shoot for rich flavor but without all the added complications. Today, I’ve transformed sausage, and I’m guessing your family will love you and won’t even realize their meal has been transformed by bulgur wheat! The key is to keep the other elements in place…small steps here, after all Rome wasn’t built in a day! I’ve seen it time and again…My family will eat a bulgur wheat taco (yes with the unhealthy shells and cheese shreds) and pointedly ask, “are we eating meat or a Pacer Kristen creation?”….that’s code for a plant-based alternative! You can do this too! Add some yummy sauce and your favorite parm cheese. It’s all in the mix! Let’s get cooking! My Challenge for you?…Create Bulgur Wheat Italian Sausage and add it to your favorite Italian recipe. Pizza, penne, lasagna, your choice! Just be prepared to be surprise…and keep our food transformation secret! If you’re unfamiliar with bulgur wheat, it’s time to get acquainted. Bulgur wheat, unlike many whole wheat products, has not been stripped of its bran and germ. This both allows its texture to closely resemble ground beef, and it best retains the nutrients yielding bulgur wheat a super source of protein, vitamins, minerals, fiber, antioxidants and phytonutrients! That being said, like whole wheat products, bulgur wheat does still contain gluten, so those who are gluten sensitive or suffering from celiac, would want to use this recipe with quinoa or beans in place of the bulgur wheat. In a small saucepan, warm water or broth over high heat. Once boiling, add bulgur wheat, cover, and reduce heat to low. Simmer for 10 minutes until bulgur wheat has softened and expanded. Watch carefully to prevent overcooking. Remove from heat once Bulgur wheat has absorbed all liquid. Fluff with wooden spoon (measure out 2 cups…you may have extra), add spices and stir to incorporate. 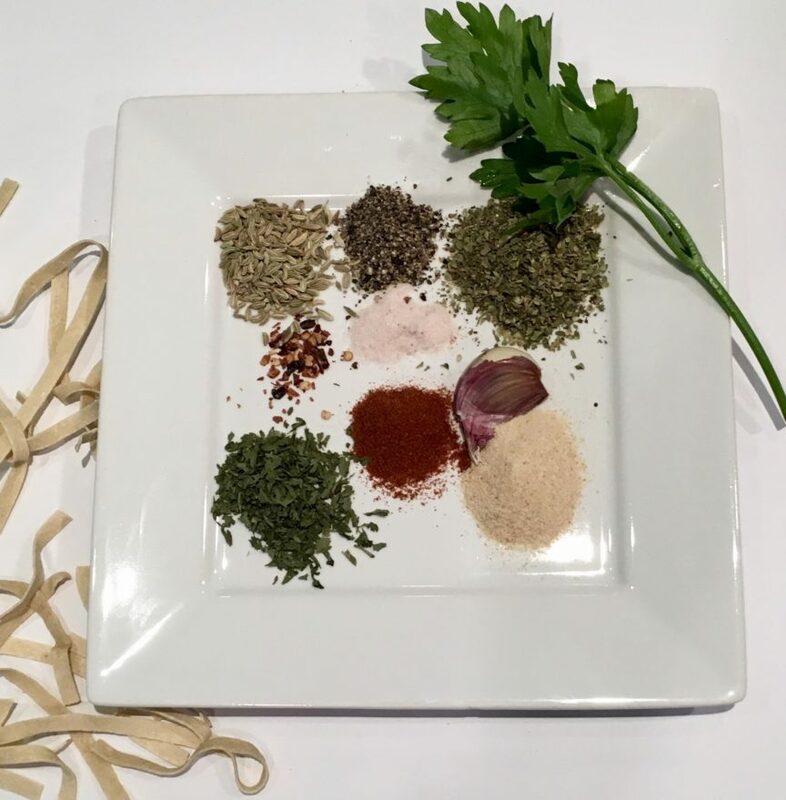 Adjust seasonings to taste and use immediately in your favorite Italian recipe or store in a glass dish, refrigerated, for later use. Keeps 2-3 days in the refrigerator. Head to the homepage to schedule your Health Coaching Consultation today to get started on your own personal health journey! ← HOW WELL DO YOU KNOW BEANS?